Glad to see you blogging again: I’ve missed you! And early cetaceans are fascinating to me, too. You mention the lumbar count of one taxon. 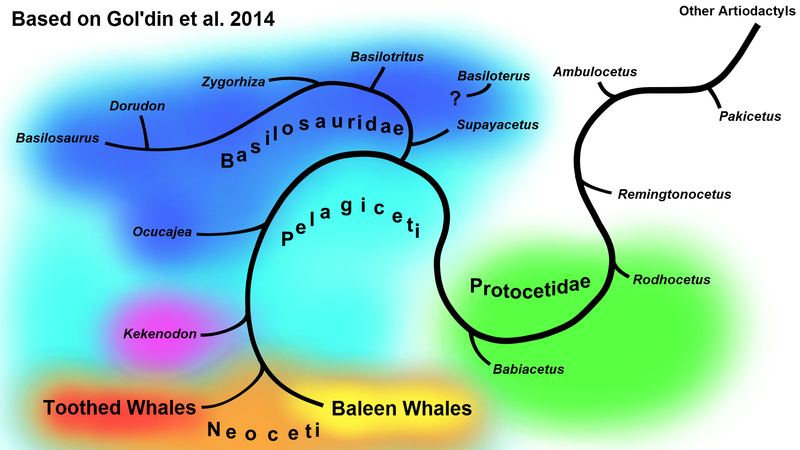 How exactly do you divide the vertebral series in cetaceans? What is a lumbar? In very early types where there was still an articulation between the pelvis and vertebrae, it’s clearly meaningful to say where the lumbars end, but (am I right in thinking that?) the pelvis was free-floating in Basilosaurids. So…??? Good to see you too Allen! The way to determine where lumbars end is that the caudals after them have paired bones underneath called chevrons which form a haemal arch. I think it’s possible that their former presence can still be inferred even if the chevrons themselves didn’t preserve. 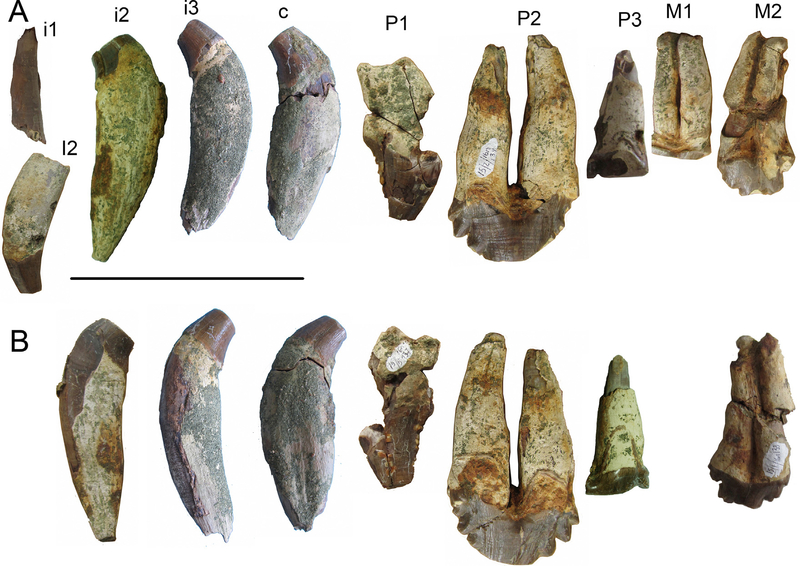 Of course, there are isolated bones in bad enough condition (like “Basilosaurus” drazindai) that could be either lumbars or anterior caudals. 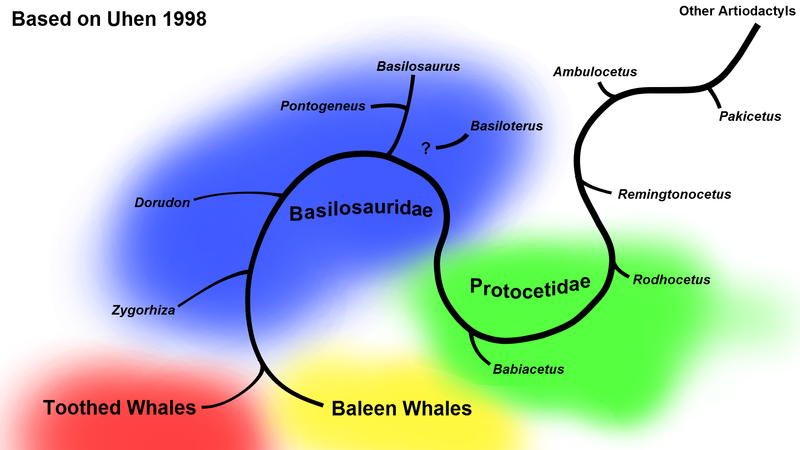 There were claims by the early researcher Slijper that sacral vertebrae could still be distinguished — despite the hip bones being some distance away — by innervation; Kellogg curiously lists Basilosaurus cetoides with sacrals, but I’m not clear how he distinguished them. These days any putative sacral vertebrae are lumped in with the lumbar series. O.k., that makes sense: whatever the ancestral condition, advanced cetaceans don’t have anything that is distinguishable as a sacral, so lumbars are the vertebrae in front of the caudals. And at the other end, lumbars are the ones that come after the ones with ribs attached. One niggling worry that I’ve asked various people (like the “Ask a Biologist” website) about and not gotten a satisfying answer. Chevron bones often seem to be BETWEEN two centra. Which centrum is the chevron assigned to? (Equivalently: is the centrum above and in front of the first centrum the last lumbar (assigning the chevron to the rearward centrum) or the first caudal (assigning the chevron to the foreword one)? This has been bugging me for several years: there have been some lovely museum exhibits featuring whale skeletons (one originating from a New Zealand museum visited the Science Centre in Toronto a few years back where I saw it(*)) and I keep wondering how to count the vertebrae in different segments of the spinal column. From what I can tell, the chevrons are attached to the posterior end of caudals and articulate with the anterior end of the following vertebrae. So the vertebrae above and in front of the first chevron would be the first caudal. Well… I hope! I’ve never actually seen this explained anywhere. On a related note, have you seen Hope’s digitized skeleton? Thanks for the explanation and for the link: the latter is the best whale skeleton image I can find on the WWWeb!